Learn to shoot, edit, and publish a video on an iPad in a fraction of the time this process takes with a laptop computer and “traditional” video gear! Prepare to have fun and unleash a wealth of creative ideas with your students! Be able to use the iPad video camera, video editing apps, and a free YouTube account to create and publish “quick edit” videos. Understand techniques for recording, editing, and publishing higher quality iPad videos. Know about strategies for successfully facilitating student-created iPad videos. Think about something you introduce at the beginning of the year to your students. Using the Tellagami app, create a short video of the explanation. Save the final project to your camera roll. Email the finished Gami link to wfryer.jackson@blogger.com In the subject line of your email use your class name & a title. Example: "Welcome to 3rd Grade from Mrs. Smith"
Edmodo reflection: How could Video Story Problems help engage YOUR students? Try out the LIVE! feature with an effect. Edmodo reflection: When would video effects ENHANCE a video project with students? When would video effects GET IN THE WAY of learning? Record video interviews with 3 - 5 other people who answer an open-ended interview question. What do you think teachers are most scared about when kids get iPads? Edmodo reflection: What lesson or unit are you excited to use Storychasing/Interviews with this year? 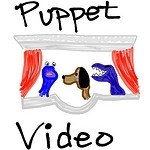 See what other teachers have made on Wes' "Favorite Videos from iPad Media Camp"